Finally another brunch place in Orchard Road! 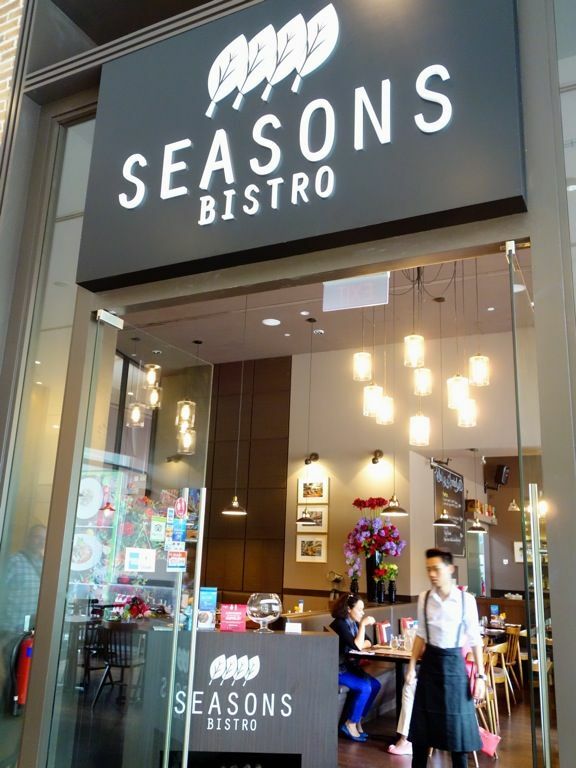 Seasons Bistro, a casual dining outlet at Triple One Somerset offers seasonally-changing menus based on Americas inspired cuisines. What's Americas you say? Well it's the melting pot of cuisines in US duh. Dishes are inspired by Chef Benjamin's travels and Seasons Bistro using seasonal ingredients to give you the freshest flavors at pocket friendly prices. 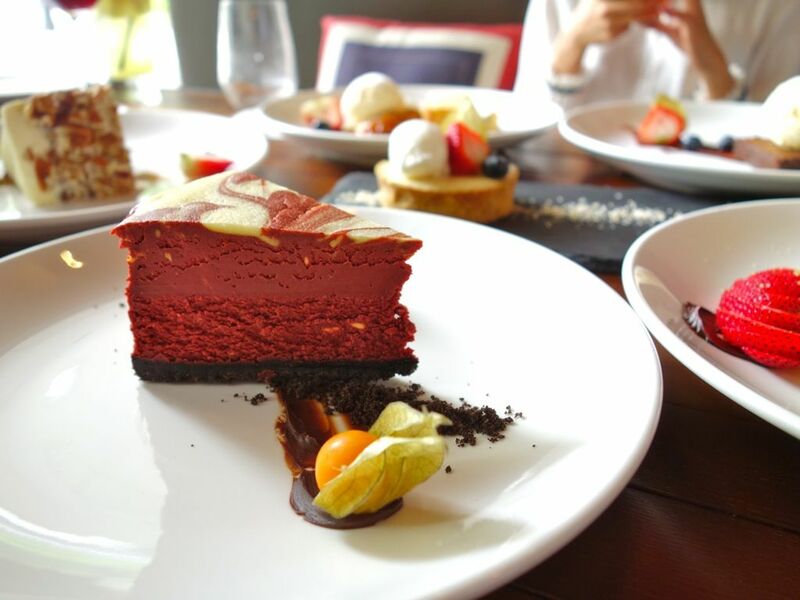 From brunch to dinner, drinks to desserts, you'd be hard pressed not to find something to eat. The menu is pretty extensive. 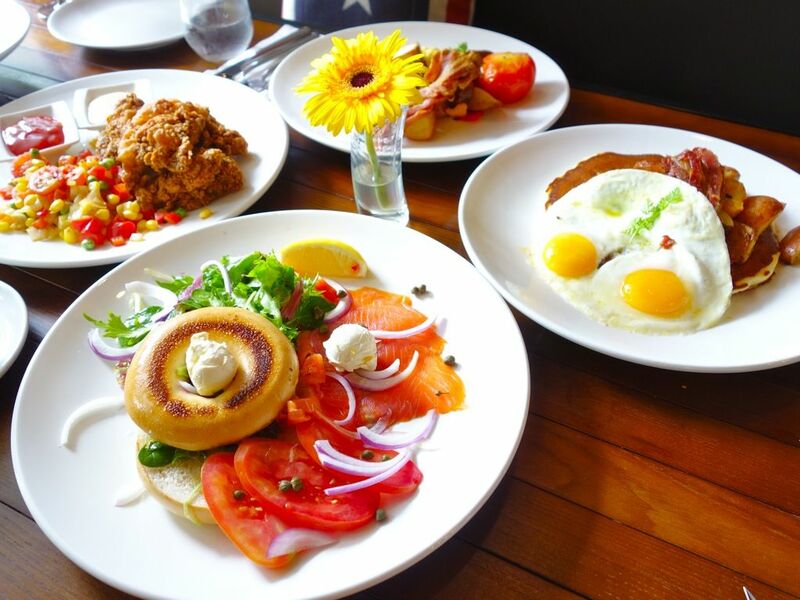 On weekends, brunch is also served and we gave it a shot alongside dishes from the main menu. Make it a happy brunch with the sweet 2 + 1 promotional offer on Moscato wines. Starters from the main menu. I really enjoyed the Seared Yellowfin Tuna Taco ($14). 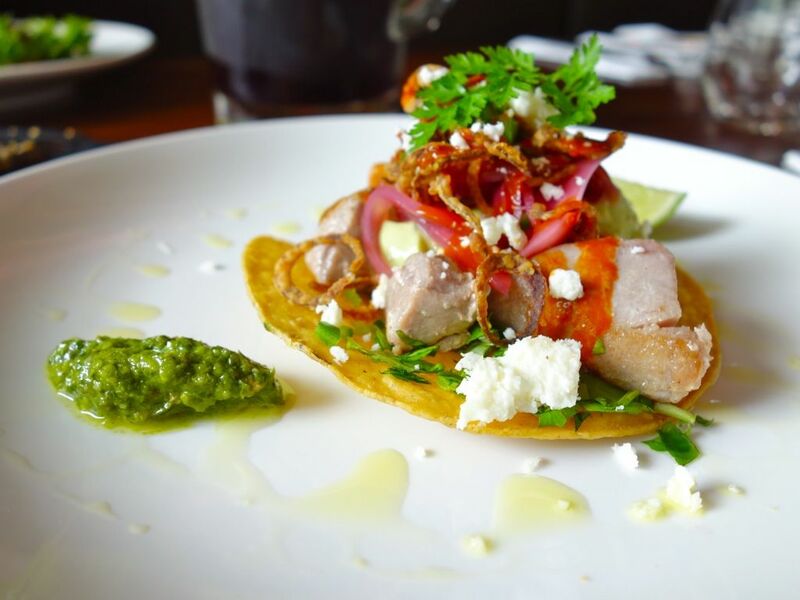 The flavors were light and refreshing with the pickled onions, crispy shallots, cotija cheese and cilantro jalapeno watercress salad. I obviously cannot resist anything with avocado in it (it's in the mayonnaise) and also crunchy tortillas! The Pan Seared Foie Gras ($16) - came with chocolate ganache, bacon jam, caramelized bananas and granola crumbs. The bacon jam, made from molasses, maple, onion and bacon, had the right amount of tartness and sweetness. We felt the dish could do away with the banana because it made the dish too sweet. The pain de mie was also too dry and porous. The foie gras was faultless. The Grilled Portobello Salad ($16) was marred by the overseasoning of red wine vinaigrette. Cut that down and the dish would be delish. I couldn't help picking at the homemade candied walnuts. The mains such as Buttermilk Fried Chicken ($22) and Surf & Turf Gumbo ($27) failed to impress. I was expecting the full blown Southerness but got a watered down version instead as both lacked in the flavor department. The brunch items were also meh-ish. Yes it was edible and filling (the portions were more than huge) but it's just the usual fry-ups. The pancake in the Lumberjack was a little more chewy than I liked and still lacking in buttermilk. The bagel offering (Montreal & Lox, $15) did nothing to quench my NYC bagel thirst. It was, like the typical bagels in Singapore, bland and hard. 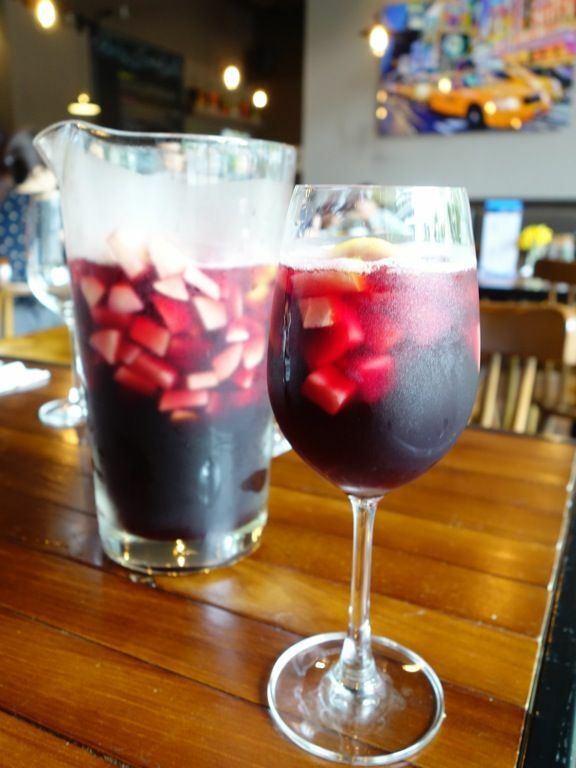 Seasons Bistro is not all that bad and brunch was saved by the delicious Sangria Loco Cocktail Pitcher ($45 for 1.5l). They add elderflower to the red wine sangria and I swear I could have this as a main course with their generous serving of cut fruits. The day was saved by desserts. 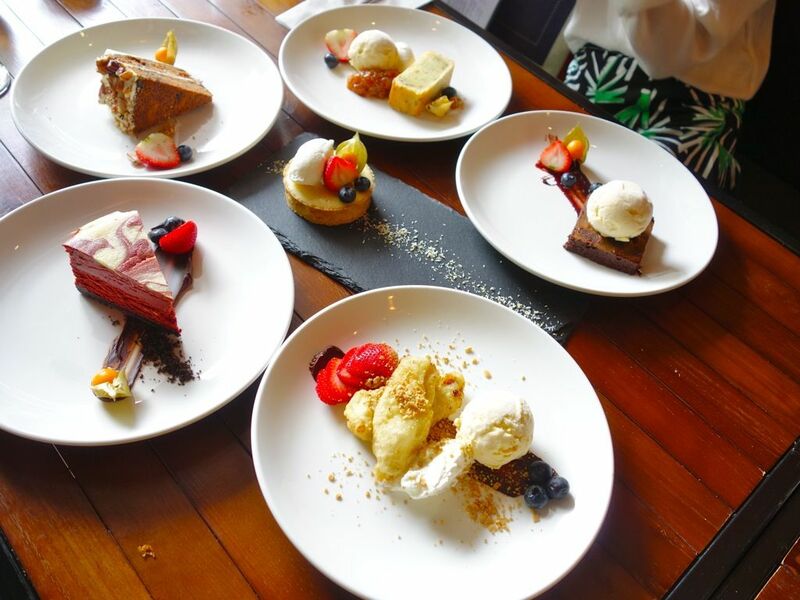 Clockwise from top, we have the Lemon, Basil & Olive Oil Cake ($8), Chocolate Fudge, Deconstructed Banana Split ($12), Red Velvet Cheesecake ($10), Carrot Cake ($12) and in the middle, the Mojito Tart ($12). Of the lot, the carrot cake fared the worst with a dry texture. The Lemon basil cake was rather intriguing with its strange powdery texture. As for the chocolate fudge, well it's impossible to get it wrong. 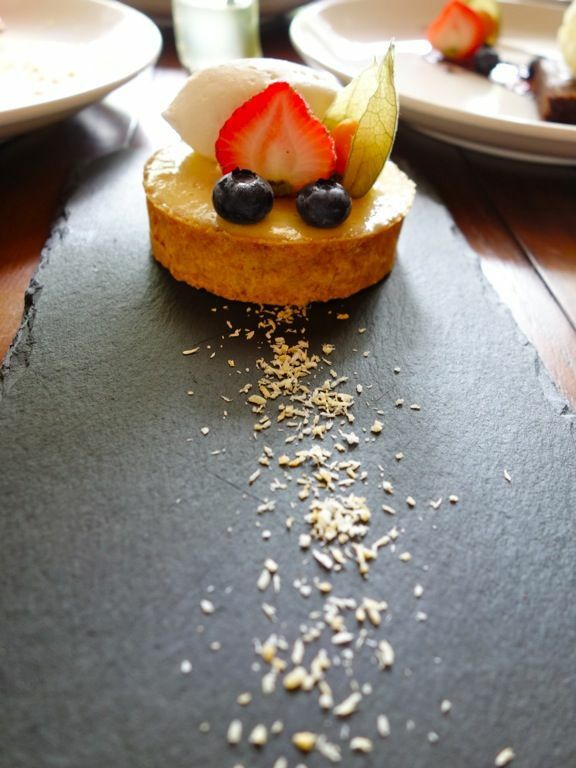 I loved the Mojito Tart ($12), a toasted crunchy coconut tart with mint lime curd and rum cream. It had the right balance of tartness with an amazing crust. The Season’s Red Velvet Cheesecake ($10) was absolutely amazeballs. Rich, creamy chocolate cheesecake with a yummeh Oreo base. I would come back to Seasons just for this cake! Hits and missed at Seasons Bistro but certainly a good spot for some cakes and drinks hic*.